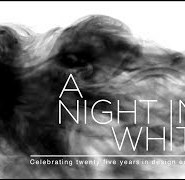 The Making of ‘A Night in White’ | 25th Anniversary Celebration in Sydney & MelbourneYour front row seat to ‘A Night in White’ hosted at Whitehouse Institute of Design Sydney and Melbourne campus. In collaboration with Vogue Australia, Whitehouse Institute of Design, Australia is marked its 25 years of excellence in design education with a celebration of design thinking, creativity, innovation and a showcase of the graduating work from its Creative Direction, Fashion and Interior Design students. Ready to pursue your dreams of design?